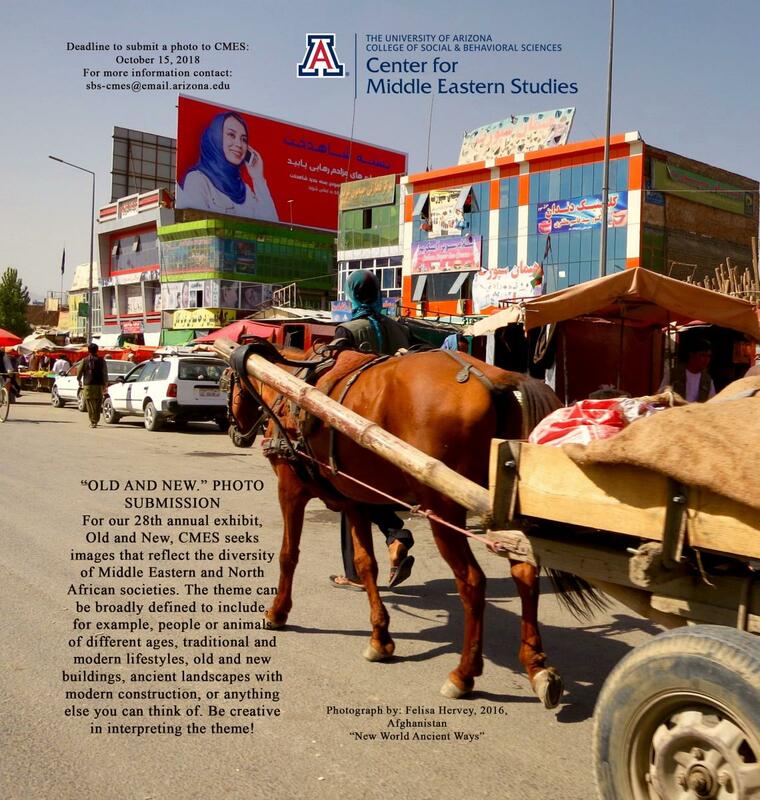 Each year, the UA Center for Middle Eastern Studies (CMES) organizes and hosts an annual photography exhibit featuring images from the Middle East taken by CMES friends, faculty, students, colleagues, local community members, and citizens of the world. Selected photos are enlarged, mounted, and displayed in the Center and remain on display throughout the academic year. This year CMES will also be taking images on a traveling photography exhibit. Images may also be published on our website, social media, and selected for CMES advertising and promotional purposes. For the past twenty-eight years, the UA Center for Middle Eastern Studies (CMES) has organized and hosted an annual photography exhibit featuring images from the Middle East and North Africa taken by CMES friends, faculty, students, colleagues, local community members, and citizens of the world. Selected photos are enlarged, mounted, and displayed in the Center and remain on display throughout the year. This year CMES will also be taking images on a second traveling photography exhibit. The main exhibit will open in early 2019. For the 28th annual exhibit “Old and New” CMES seeks images that reflect the diversity of Middle Eastern and North African Societies. The theme can be broadly defined to include, for example, people or animals of different ages, traditional and modern lifestyles, old and new buildings, ancient landscapes with modern construction, or anything else you can think of. Be creative in interpreting the theme! The deadline to submit photos is Thursday, October 18th! Click HERE for the 2019 photography exhibit submission paperwork- "Old and New"
Click HERE to see the call for photos for the 2018 photography exhibit - "ACTION!" Click HERE to see photos of the 2015 photography exhibit reception.